So, a while back, I obtained some yarn from another knitters stash… and I am a fan of trying new stitches and finding ways to use up the yarn stash… so this one, the solid blue and the yellow are yarn that’s probably as old as I am (based on the yellow skein’s wrapper) so its well past time it got a new life. 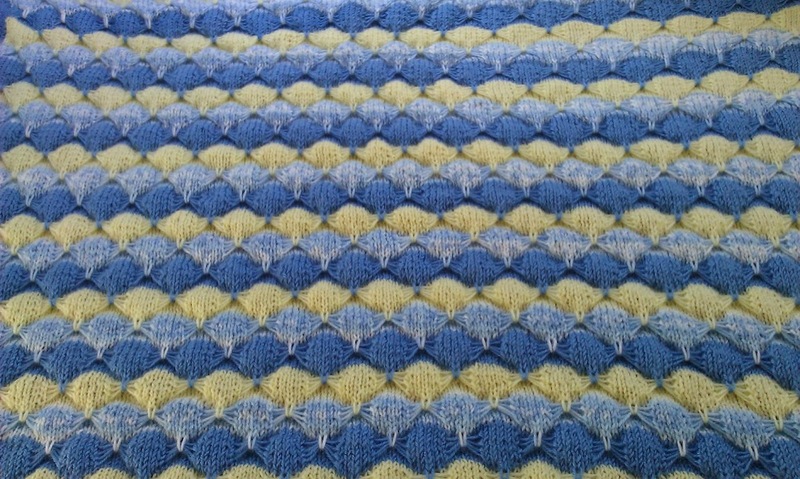 This pattern makes a nice dimensional stitch. 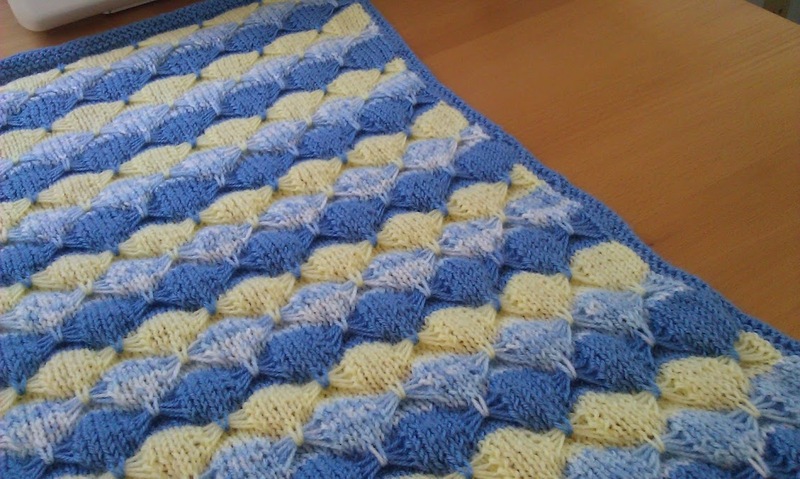 I knitted it up until I nearly ran out of the dark blue… and I still have some light blue and yellow to play with! 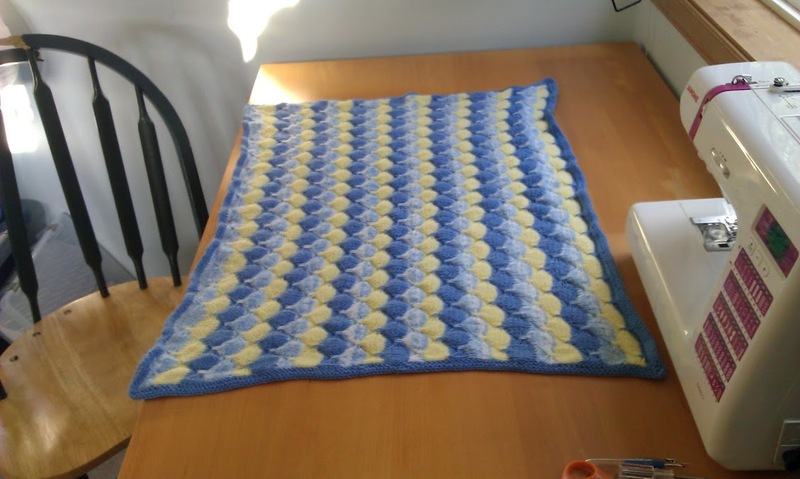 But its at least baby afghan size, so there is that. Perhaps I shall have to make up some hats or booties or something…. As a bonus, this pattern made a fun picture to use as my cell phone wallpaper. The colors remind me of a dress I used to own, with a denim bodice and a yellow floral long skirt… I loved that dress.